It is a truly compact and easy-to-use fishfinder that uses the cutting-edge technologies delivering highly accurate data. Exporting maps and other data to other devices is impossible. 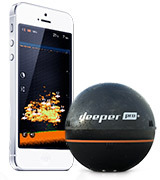 The Deeper Pro fishfinder will be highly useful to avid fishermen as it can be used for all kinds of fishing. The sonar has a pretty long battery life. This best fish finder boasts a fantastic detection range and shows all the information a professional fisherman needs for pleasurable fishing. The Fei fishfinder boasts a decent depth range for a better fish detection. There is a power saving setting. Sometimes the readings of the sonar may be slightly less accurate. 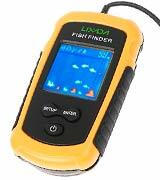 This fishfinder boasts an impressive set of functional capabilities and maximises your chances to catch a lot of fish. A great choice for people who value the usability. 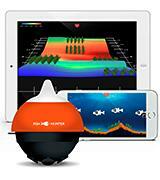 This small fishfinder is compatible with thousands of Android and iOS devices. You can cast this excellent fishfinder with any type of fishing rods. Some customers claim that the device is a bit heavy. 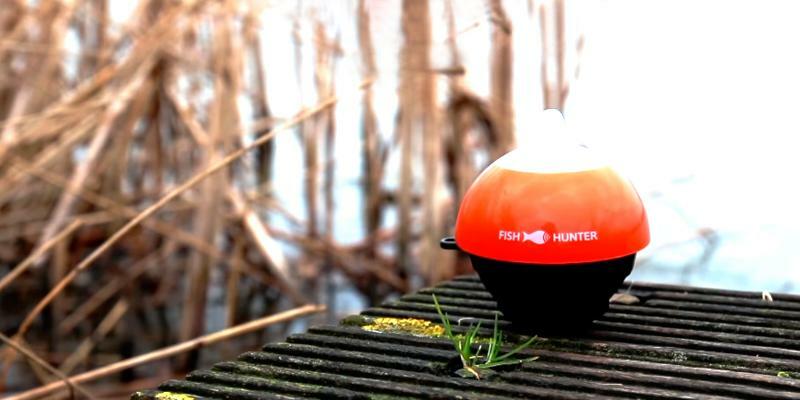 The FishHunter is a small yet professional fishfinder that you can use for both angling and boat fishing. It will make your fishing truly flawless. The device itself incorporates a unique built-in strike alarm that notifies you when the fish is close and sends a signal whenever the potential catch actually takes a bite, even if it is a tiny nibble. On top of that, it also comes with an LED light that will prove to be invaluable in terms of night fishing. The detection range lacks in terms of depth. 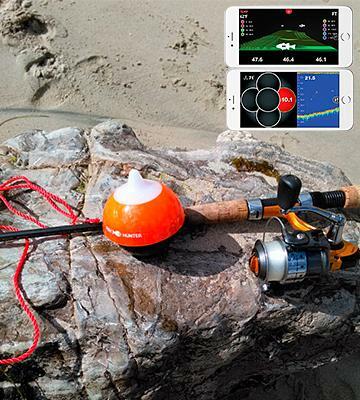 The ReelSonar CGG-MY-IBOBBER might not offer you the largest detection range, but the sort of functions it comes with and the number of features the application presents will be more than enough to bring your fishing game to a whole new level. 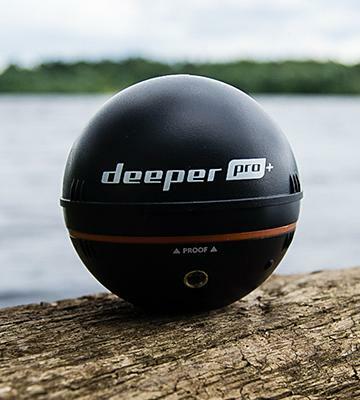 The Deeper Pro Plus is a cutting-edge device that literally redefines the process of fishing. 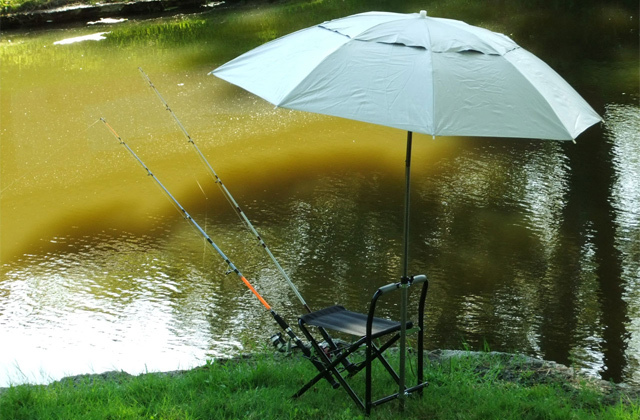 The device can be used for all kinds of fishing: shore, boat, and even ice fishing. 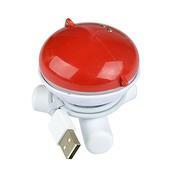 Moreover, this depth finder is suitable for fresh and seawater. To get the most accurate information about fish, bottom relief, and even water temperature, you just need to immerse the round fishfinder in water (do not forget to tie it up to a fishing line or your boat before that, though). 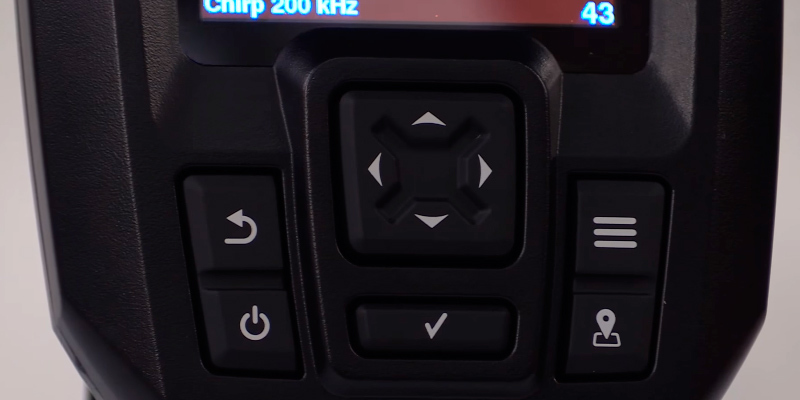 The depth finder will transmit the information it receives right to your portable device, be it a smartphone or tablet, via a Wi-Fi connection. The efficient range amounts to 100 metres, so it is more than enough to locate the fish. Of course, you need to download and install the Deeper app which is available for iOS and Android. The app is very functional for any fisherman as it provides a lot of important information. Go online and it will show you the weather forecast, fish whereabouts, colour maps, and a lot more. If you catch a really huge fish, you can instantly share your success with your friends and other fishermen on social networks! We would also like to mention that this fish finder has an internal GPS receiver that helps create bathymetric maps showing the bottom relief and fish spots. Therefore, you always know where fishing is likely to be successful! 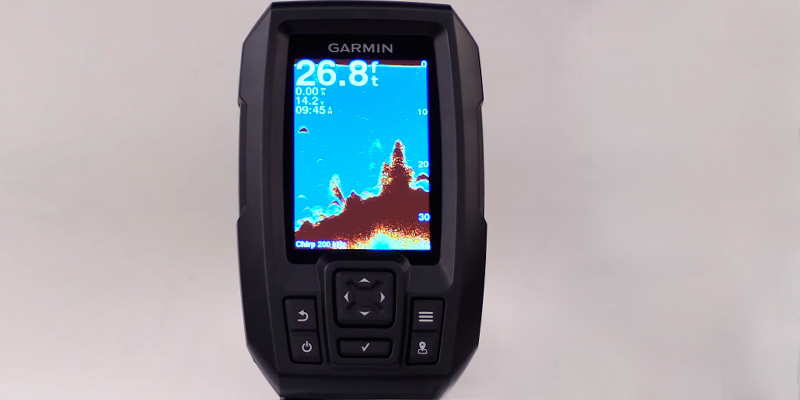 Garmin Striker fishfinder is a truly high-performing and efficient device that can scan the bottom and search fish in both salt and fresh water. If you use it in a freshwater river (lake, etc.) - the maximum detection depth is 1.600 ft, while for salt water it's 750 ft. In other words, this fish detector shows excellent effectiveness, so we can say that it's truly professional-grade fishfinder. 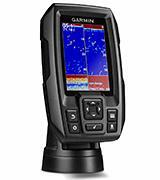 All in all, if you like a deepwater fishing - this Garmin fish finder is surely the optimal choice. This Fei fish finder is a fairly entry-level device but any fisherman will certainly like its functional capabilities. 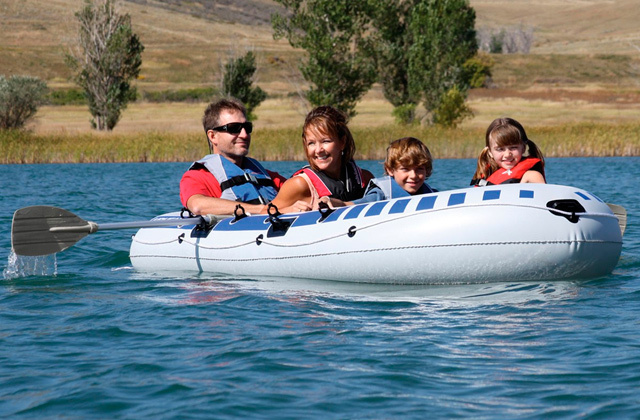 The depth finder can be used in many ways, not just towed by a boat. 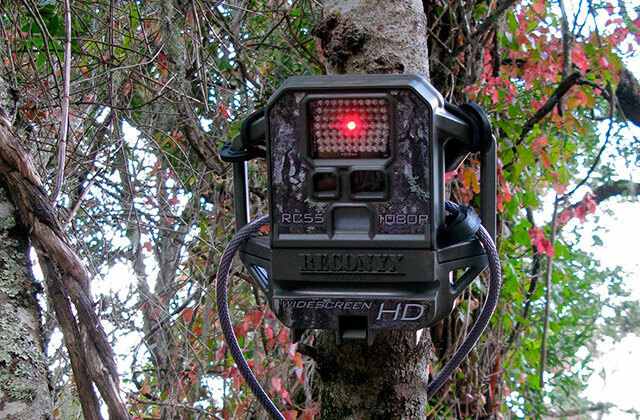 The sensor unit can be used with a float, mounted to a boat hull, or attach the sensor to a pole guide. Moreover, if you like ice fishing, you can simply put the sonar unit on it and it will show you whether there are fish underneath. 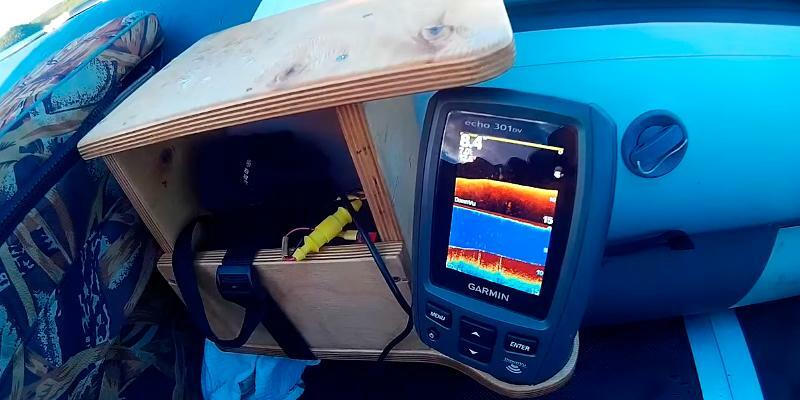 The cable connecting the sonar unit to the fishfinder itself is 7.5 metres long - more than enough for fishing from a pier. As for convenience, this fish finder comes with a handy neck strap, so the device is always at hand. 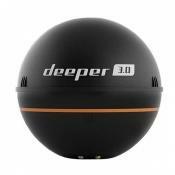 The depth finder is powered by 4 AAA batteries sold in any shop or department store. 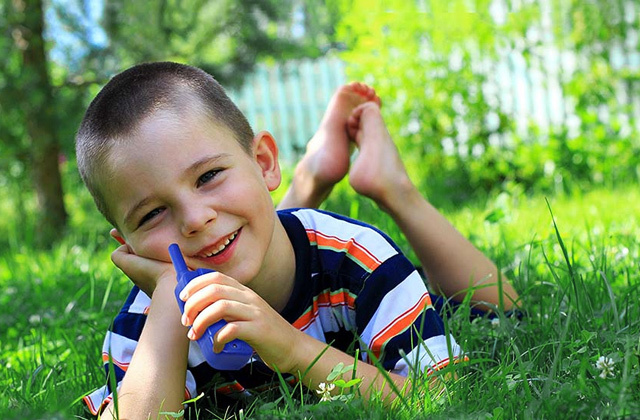 Thus, if the batteries run out of charge, you can replace them without any troubles. The maximum depth range of this fishfinder amounts to 100 metres. Of course, the sonar scans the bottom, showing you the relief, depth, and even weeds in real-time. 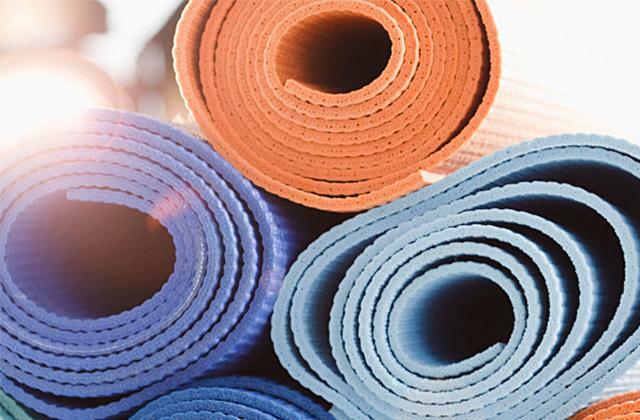 The last point we would like to draw your attention to is the option of changing the readings from metres to feet and vice versa. As you can see, this fish finder is all pros and no cons! The FishHunter Directional 3D wireless fish finder is a mid-level echo-sounder that allows you to scan the water to the depth of ~49 metres. Not only does it show you where the fish are but it also draws the bottom relief. The minimum detection depth is just 1.2 metres. Thus, you can easily use this portable fishfinder for fishing in shallow waters (in rivers with lots of weeds underwater). 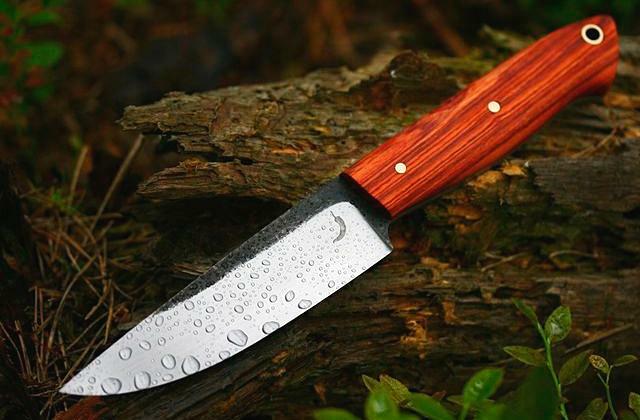 The FishHunter will come in handy anywhere - from cool seas around the UK to warm southern oceans swarming with fish. The supported temperature range is from -22° F (-30° C) to 95° F (35° C). 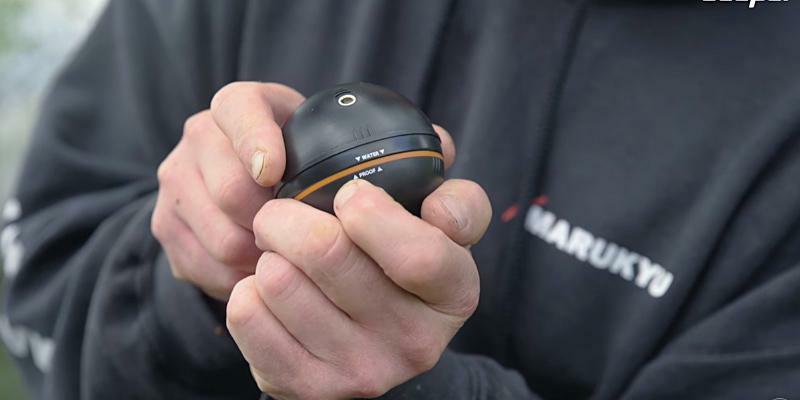 It is a compact fish finder that you connect wirelessly to portable devices such as tablets or smartphones. Thus, all the information is displayed on the screen of your gadget. You can use either Wi-Fi or Bluetooth wireless connection but remember that WiFi works 4X faster than Bluetooth. All you need to do is download the 'FISHHUNTER PRO' mobile app and install it. This app is available for Android and iOS-operated devices. Moreover, several data mappings are available to you: directional casting (for you to know where to cast a bait), 3D bottom mapping, 3D bottom contouring, and ice fisher flasher. 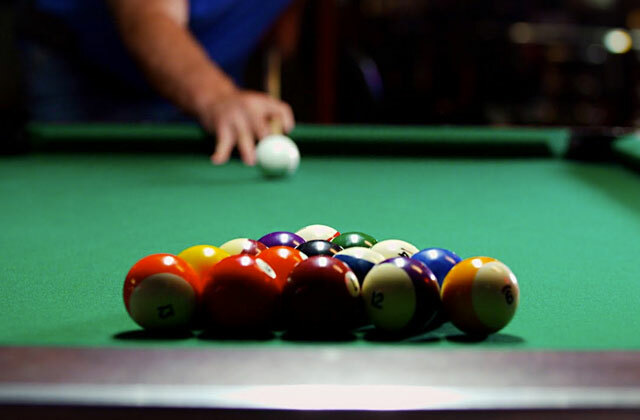 Therefore, you can easily pick the most suitable one. Also, 3D bottom contouring is particularly useful for divers. 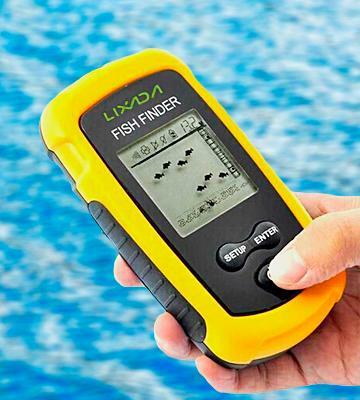 As for convenience and usability, this portable fish finder is fantastic. Actually, the echo-sounder is a waterproof floating sonar that you can cast either into water or tug (in case of boat fishing). The gadget uses as many as 5 Tri-frequency transducers that are incredibly efficient: they scan at different angles and sides providing the most detailed information. 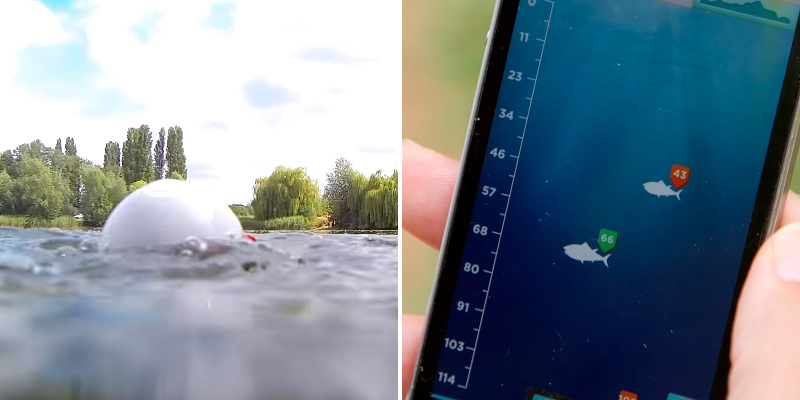 This fish finder is particularly handy for boat fishing: you float to the place you choose, then immerse an echo-sounder, find fish, and finally cast a bait. Besides, the FishHunter Directional 3D fishfinder has quite a good battery life - up to 10 hours of continuous operation or 500 hours in a standby mode. The ReelSonar CGG-MY-IBOBBER is a fish finder that is all about implementing and utilising the latest advancements in technologies in order to amplify your fishing experience. Though an incredibly small device, measuring in at about 5.1 x 5.1 x 2.5 centimetres of overall dimensions and around 330 grams of weight, this tiny model is packing quite a lot of heat. 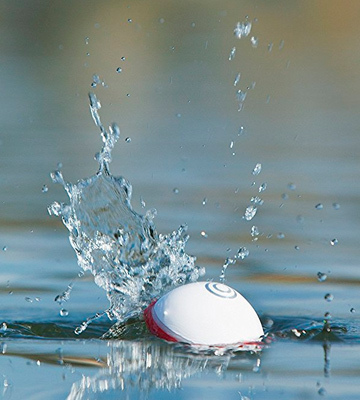 From the very first moment you cast this product deep into the water, the model uses the Bluetooth technology in order to synchronise with a free app that is compatible with any iOs and Android gadgets. The application will be able to display the contours of the waterbed right on your smart device and also tag different fishes, with an orange tag reserved for fish under 38 cm in size and a green tag for fish over 15 inches (38 cm) in size. Furthermore, it also comes with a weather and lunar calendar, both of which will prove to be extremely useful since the weather affects feeding times and the lunar cycles cause changes in water depth. 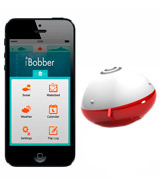 Now, software is not the only thing that makes this iBobber fish finder interesting. 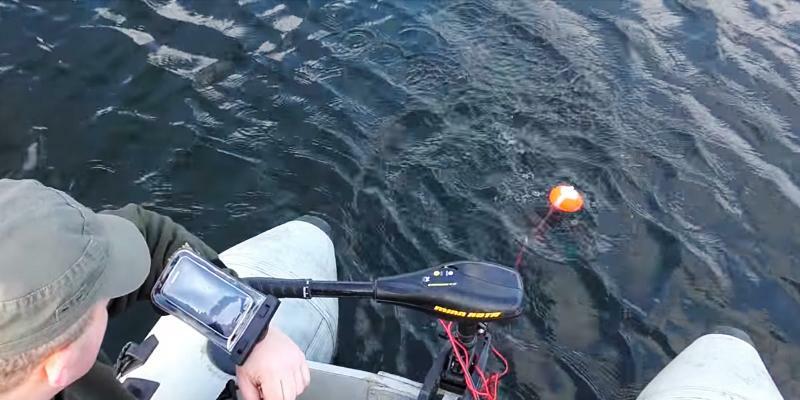 The device itself incorporates a unique built-in strike alarm that notifies you when the fish is close and sends a signal whenever the potential catch actually takes a bite, even if it is just a nibble. 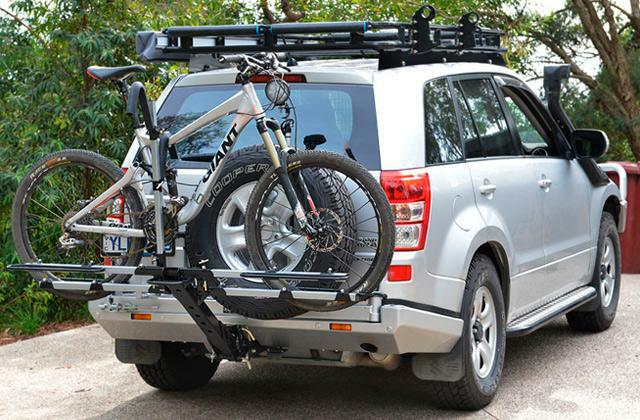 On top of that, it also comes with an LED light that will prove to be invaluable in terms of night fishing. All in all, the ReelSonar CGG-MY-IBOBBER might not offer you the largest detection range, but the sort of functions it comes with and the number of features the application presents will be more than enough to bring your fishing game to a whole new level. 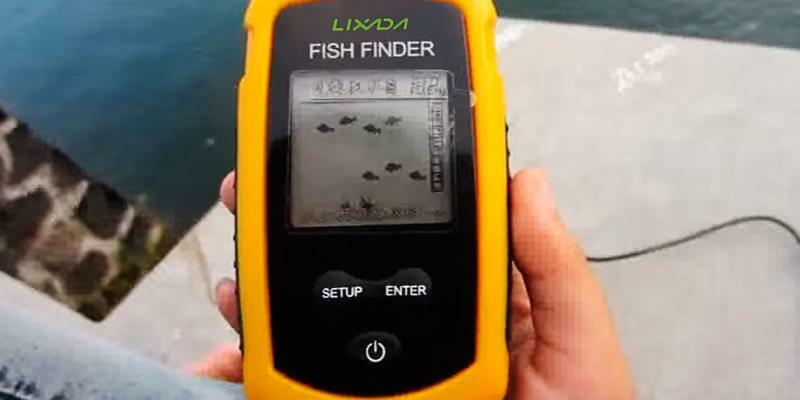 A fishfinder is a very handy appliance for any fisherman. It helps you literally look through the depth of water and detect the fish, so you can save time and find the best place for fishing. And if you think a depth finder is just a radar, you are mistaken - it allows scanning the bottom relief, so you know what is underwater. This capability is very important for divers. 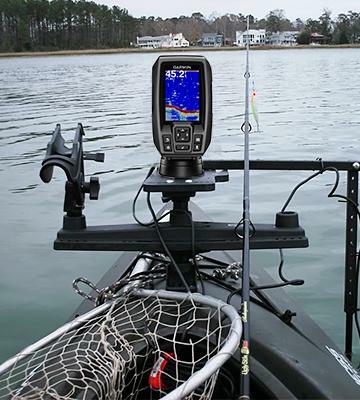 No need to say, a fishfinder is a crucial device for amateur fishermen. 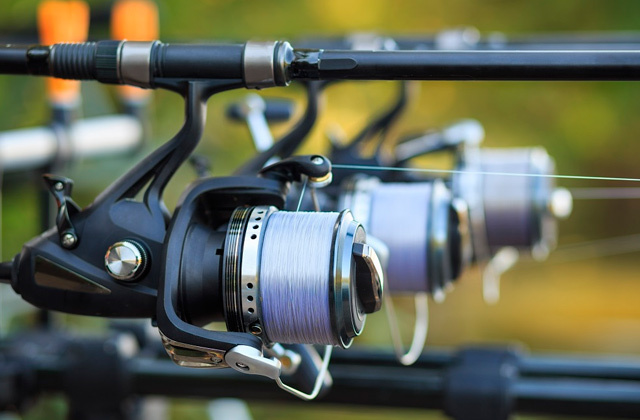 Finding fish is great, but you need to catch it and that is why do not hesitate to read our comparison of the best fishing rods for novice fishermen and professionals. A choice of a good fish finder is a guarantee of a successful fishing. There are several important features you need to consider when you choose a depth finder. A common person will get nothing from reading too difficult technical information, so we have decided to make it all much simpler so that you can make the right choice without too much effort. The first thing you need to consider is the Detection Range which means how deep underwater a fishfinder can scan. It is usually measured in metres or feet. Also, as an additional information, you might find out some other features such as scanning angles, the power of a radar, a number of bands, and so on. 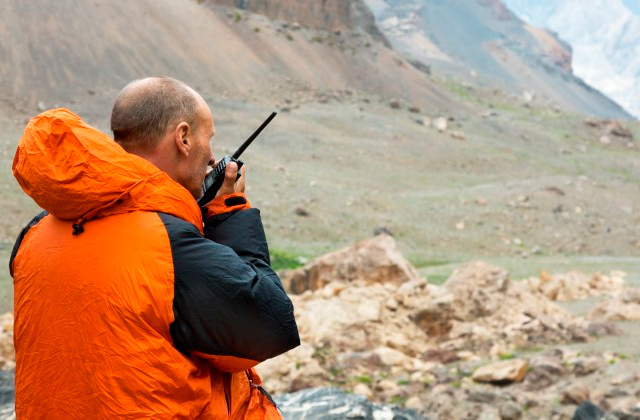 After choosing the device with the detection range you need, it is important to realise how exactly the information is displayed and we have called this feature Data Mapping. 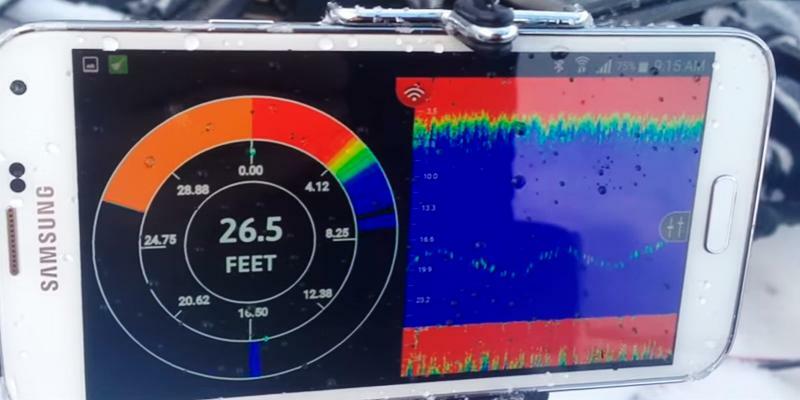 Some fishfinders are autonomous and have TFT screens where all the data are shown, whereas others work via a special app you install on your smartphone or any other portable device. The graphics is different - some depth finders produce a really detailed picture. Finally, you need to know when and where you can use a fishfinder. Some of them are better for boat fishing while others are perfect for fishing from the shore (i.e. angling). That is why we give you a detailed information about the Usability. The best fishfinder sonars can be used in fresh water and in seawater. 4. Chris Woodward Portable and Castable Fish Finders, SPORT FISHING. January 23, 2015. 5. Lenny Rudow Sonar Smack-Down: Traditional Fishfinder vs. Down-looking Scanner-Imager vs. CHIRP, Boats. September 20, 2013. 6. How to Choose A Fish Finder, Canadian Tire. 7. Choosing a Transducer, Raymarine. 8. How to Use a Fish Finder, wikiHow.